So expect a similar front end. Which we can already guess a little bit on the spy shot above. Otherwise, it doesn't look like the production car will be a hatchback, like the Escala was. And, they are still sticking with these stupid numbers instead of proper names. CT6.. CT5... I think These are really bad, especially for Cadillac. A terrible idea that even Lincoln is changing. No matter what Cadillac boss Johan de Nysschen is dreaming about, (or smoking) Cadillac is NOT Mercedes, BMW or Audi. It is Cadillac. Just like Lincolns, Cadillacs should have proper names. Like they did for decades. They should come up with their own idea of luxury and stop chasing German brands. Otherwise, the "CT5" will be a bit shorter than the CTS. And will replace both the CTS and ATS. 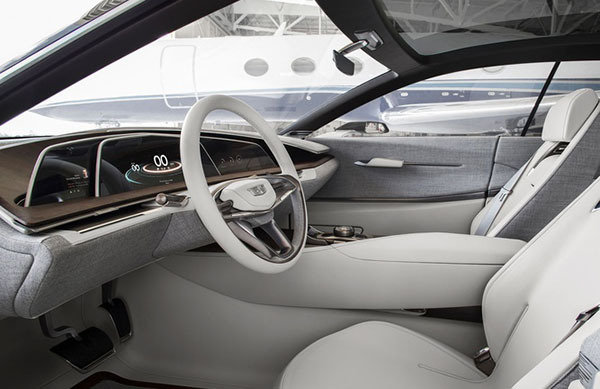 And also, let's hope that Cadillac will find it in their heart to make the CT5 interior look at least a little bit like the dreamy design of the Escala concept. Looks promising and fairly close to the concept. I can't wait to see it. 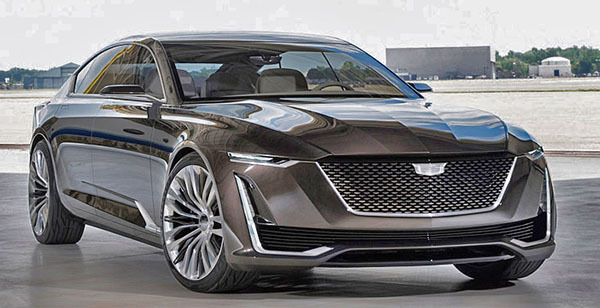 If Cadillac intends not to deviate from the Escala design, they deserve the same merit as Mercedes. The production photo already shows conventional lines that translate to the same song and dance GM has danced around for decades: penny-pinching while charging double. 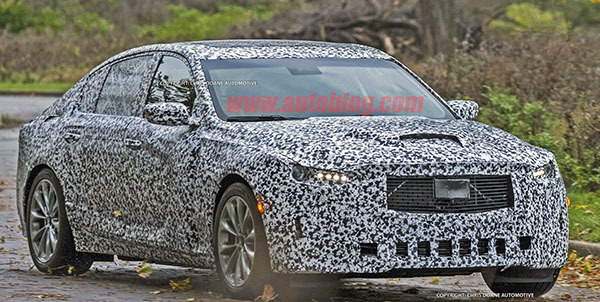 Based on that spyshot, I think the CT5 will be much better looking than the CTS/ATS. Just hope the platform is as good as the Alpha is. CT5.....how hilariously cleaver. People will call it a CTS by accident and not be completely wrong. At least it's the same car, unlike XT5 and XTS. What a mess of names. FusioptimaSX, what mess? Aside from the XTS being in the mix, I don't see anything particularly wrong with that naming stucture. And if that's a scoop on that hood, they've lost me forever. I think this looks quite promising actually. Very handsome. I love the retro steering wheel - and hope it makes it to production. This COULD be a winner for them...the current CTS is too big (the old one was just about perfect for size) and the ATS is too small (albeit it's a hoot to drive)...if this comes sized like the previous gen CTS (which looks about right) and the handling of the ATS with the looks of the concept (including that awesome steering wheel) - chicken dinner is served as we have a winner. I am sure it will have the same stupid looking tail lights. Hopefully the inside door panels will fit better this time around. mediocrity sold for luxury.